FRESNO, Calif. (KFSN) -- A busy roadway was blocked Thursday morning during the morning commute for a police action. 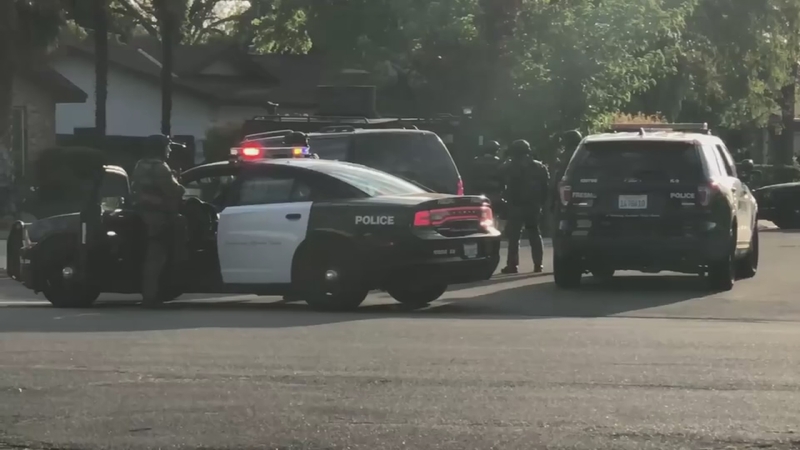 Right around seven, a SWAT team swarmed a house in Northwest Fresno. Cruisers blocked roadways and the police helicopter circled above Palm and Herndon. Authorities set up a perimeter to search the house, but it's unclear if they found anyone or anything. Officers also could not say why they were there because the investigation is ongoing.